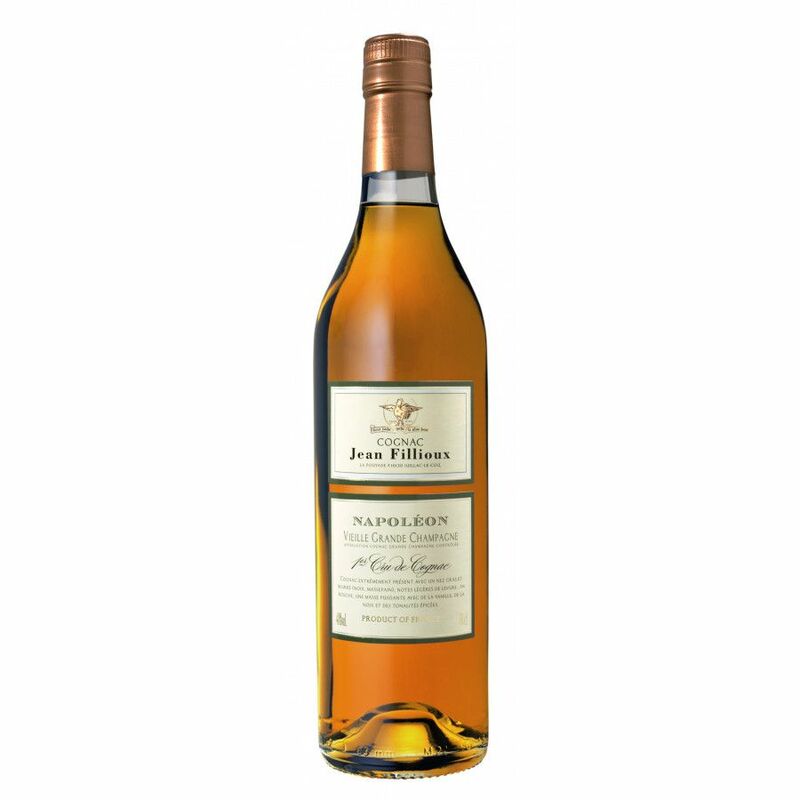 The Jean Fillioux Napoleon Cognac is a Grande Champagne classic, and one that delights from the moment you first set eyes on its tempting golden color. it's a powerful Cognac, one that certainly takes the taster on a real sensory journey. Expect delicious aromas of walnuts, dried fruits, and marzipan. These continue to evolve on the palate, with further spicy notes appearing to show. And, thanks to being an older Cognac, the finish is long and ultimately satisfying. 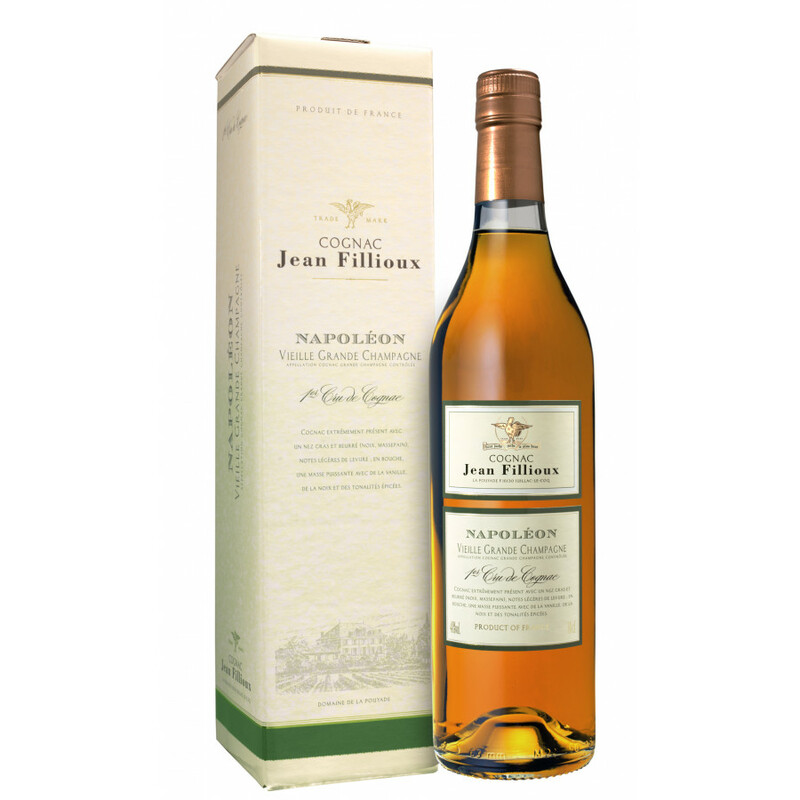 As with all of the products from Jean Fillioux, this Napoleon grade has been created with true passion and expertise.The bottle is of a traditional style; the house simply allows the high quality of their wares to do all the talking, with no need for dressing up in fancy packaging. This spicy Cognac will appeal to anyone who enjoys discovering a blend of excellence, but one that also represents outstanding value for money. This Napoleon grade gets top marks in both these respects. A wonderful cabinet staple. Better than many Amarone Cognacs ! Worth the price for the double ! This grande champagne cognac by Fillioux is absolutely stunning. I tasted it the other day and must say it's really remarkable. Strong fruit notes and a looong finish.